Some cool music has been released lately, just in time for the hot weather to start rolling in. Funny how the two albums I’m talking about today both have “Paradise” in the title. Seriously, I didn’t plan it! Haha. I’ve been anticipating La Roux’s album release of “Trouble in Paradise” on July 22, 2014, but for now, you can download some of her singles. I recommend “Let Me Down Gently”. For fans of La Roux, you’re used to the up-tempo “BulletProof” and “In for the Kill”, and upon first hearing “Let Me Down Gently” and was annoyed that it wasn’t more upbeat. But I kept listening to it, and you know what? It totally grew on me and I think La Roux does a great job mixing 80s synths and modern pop for a perfect blend of music. 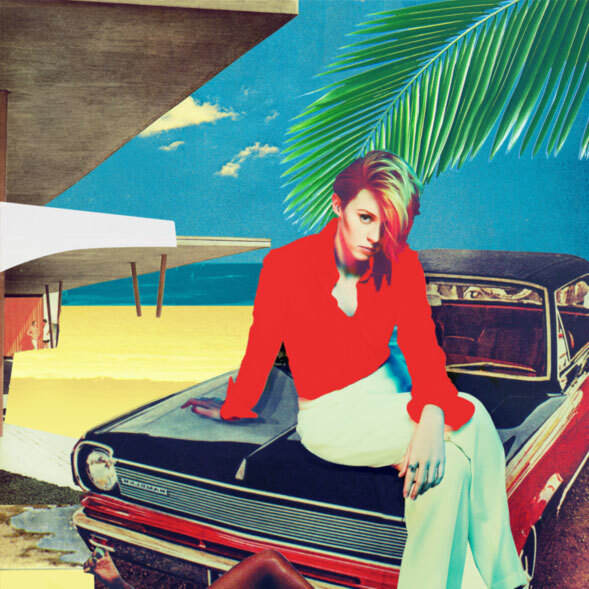 In the music video, it’s pretty toned down with La Roux singing to the camera and a gorgeous landscape later on in the music video. The song speak for itself. 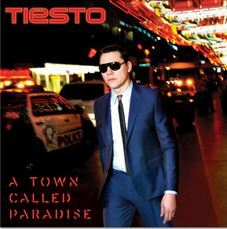 Tiesto is has also released “A Town Called Paradise” which is available now on iTunes. It’s a great album, I’d give it 4 out of 5 stars for sure. Some awesome banging tracks on there. There really isn’t one song on the album that ISN’T catchy. But the thing is, I LOVE pop music, I love catchy stuff, but just because a song is catchy doesn’t mean I’ll automatically like it, songs like “Let’s Go” with Icona Pop… yeah, sure, it’s ok… but I’m kind of not so thrilled with it. I think the best banger out of the album is “Wasted” and after that “Light Years Away”. I really don’t care for the music video at all. Seriously, *yawn* they should have just had people partying at a festival with cool lights or something. But listen to the song, it’s awesome. What do you think of Tiesto’s new album? Excited for the new La Roux album? Britney Spears “Hold it Against Me” music video premiered today on Vevo. I admit, I hated Britney Spears for several good years. I didn’t like how she was acting like a puppet, only after her breakdown and when she sang about being crazy, did I start liking her music. I liked “Circus” and “Womanizer” and I accepted her for who she was. A crazy pop singer. I’m glad she embraces that as well, so I called a truce, and I give her a chance now. “Hold it Against Me” was garnering some attention with thirteen teaser trailers for the music video leading up to the video being released today. Before the teasers, Vevo released her song as an “audio only” track. I find it fascinating how consumer driven social media has changed the way music is dropped. Before songs would get leaked, shown all over Youbtube before a music video or a song was available to download, and now record labels have embraced that tactic and release their own “audio only” track to be paraded around the net and then release a music video and available download. I think the marketing for this song is notable and will start becoming standard for future big releases. Now, for the music video, the song, I already liked. It’s a dance song. People complained the lyrics were too simple. It’s not rocket science here, it’s just a danceable pop song, and if you enjoy dancing to pop music, then this song is perfectly acceptable. If you want something meaningful, then don’t listen to Britney Spears, go check out Ingrid Michaelson or Michael Buble or something. The video has a very technological feel. Several TVs playing Britney Spears music videos. Nice, it shows how long she’s been in the game. She looks good, the outfits are interesting and there’s also quite a plug on Plenty of Fish, which Lady Gaga used in her “Telephone” music video. 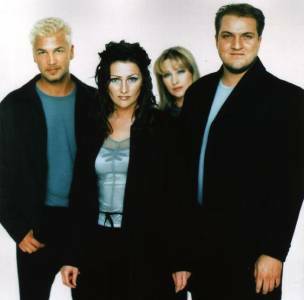 I wonder if Plenty of Fish is gaining more online daters from these music videos? Spears also fights against herself (perhaps fighting her “crazy”?) and I like the paint coming out of her fingers and onto the white dress. It’s different, it’s fun, it’s pop music.